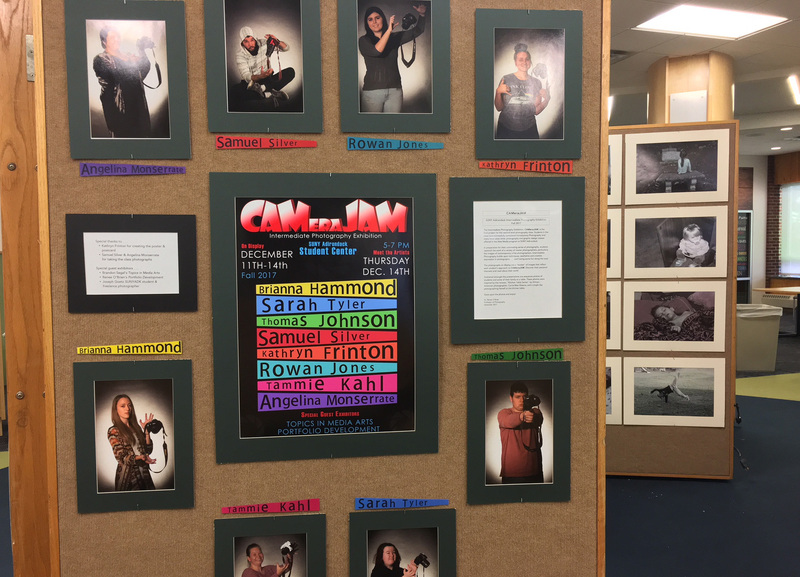 “CAMeraJAM,” the intermediate photography exhibition, will run from Dec. 11 to 14 in the Student Center at SUNY Adirondack. A Meet-the-Artists reception will be held from 5 to 7 p.m. Dec. 15 in the Student Center. Light refreshments will be served. The show includes work by SUNY Adirondack students, including Brianna Hammond, Sarah Tyler, Thomas Johnson, Samuel Silver, Kathryn Fronton, Rowan Jones, Tammie Kahl and Angelina Monserrate. The exhibit showcases the final project for the second-level SUNY Adirondack photography class. Students in the class have successfully completed introductory photography, and many have taken other photography and graphic design classes offered in the new media program at the college. In preparation for the culminating series of photographs, students research the work of a variety of master photographers, particularly the images of contemporary artist-photographers. The intermediate photography class builds upon techniques, aesthetics and creative expression in photography. The photographs on display are a “bucket” of images that reflect each student’s approach to “CAMeraJAM.” Scattered among the presentations are sequence photos of students and some of their family at a table, which were inspired by the “Kitchen Table Series” by African-American photographer Carrie Mae Weems.